Jaguar ad banned for encouraging unsafe driving: Is connectivity driving us to distraction? Jaguar and the Guardian newspaper have had their fingers rapped for an advertorial that was claimed to encourage ‘irresponsible’ driving. The Advertising Standards Authority (ASA) upheld the claim and has rebuked both for the piece which was said to be likely to encourage unsafe driving. Is in-car technology transforming your commute? While Jaguar and the Guardian have accepted the ASA’s ruling unreservedly, what this incident does is raise questions about just how much protection do drivers need from this sort of ‘encouragement’ and whether or not we should credit drivers with the ability to tell the difference between the embellishments of an advert and real life? After all, the car in the advertorial was an XE – a compact executive saloon aimed at conscientious, hardworking businesspeople, and almost all are experienced drivers. The target audience in the Guardian advertorial was not impressionable 17-year-olds. In the piece there was a comment from Professor David Bailey, who is a lecturer at Aston Business School and provides independent commentary on car industry matters but endorses no particular brands. Prof Bailey said afterwards that he didn’t know his comments about using in-car apps to allow him to talk to other people while driving would be used in an advertising capacity and these remarks were made by him on a good faith understanding that the comments were for an editorial purpose not a commercial purpose and his interviewer had not been clear. That is perhaps where the only real line has been crossed and the Guardian provided a correction and clarification after the fact. 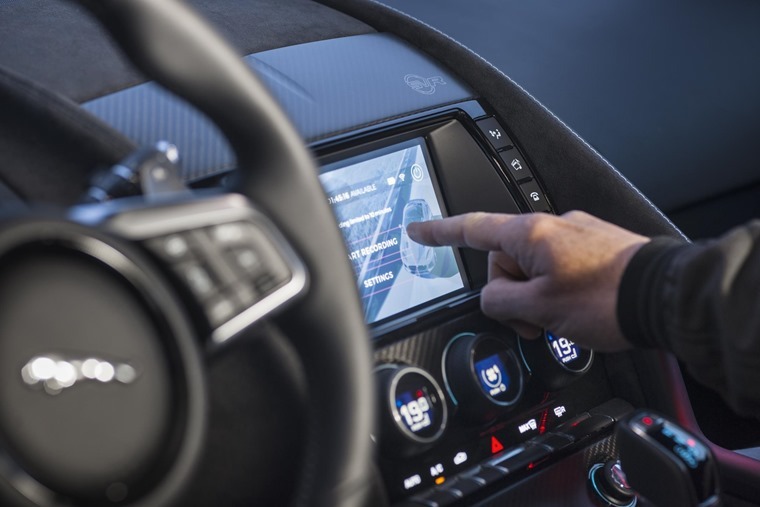 However, to suggest that an advert pointing out a car’s connectivity is in some way irresponsible is hard to fathom in the present day, especially when so many new cars have some form of connectivity between vehicle and mobile devices. £200 fine and six points – have driver’s got the msg yet? Of course, anything that prompts a driver to divert attention from the task of piloting the car is not a wise idea. 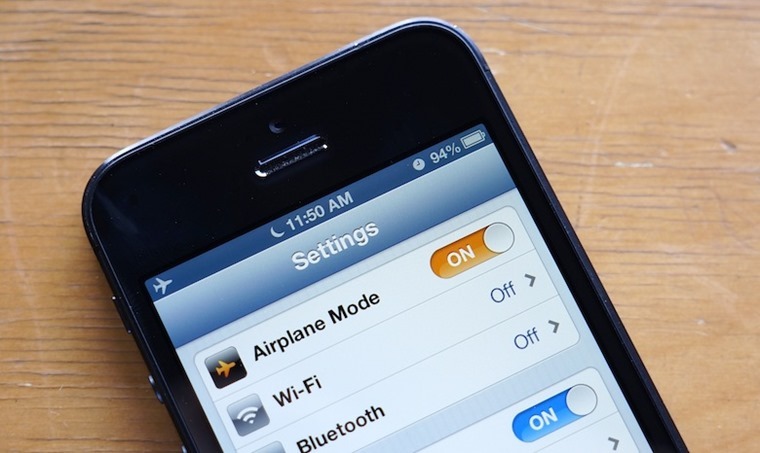 This column has long argued the case for drivers to switch off their phones while at the wheel, and I am also an advocate of an ‘in-car’ mode similar to a plane’s inflight setting that renders the phone useless other than for providing music. In this way, the phone is no more of a distraction than the radio. 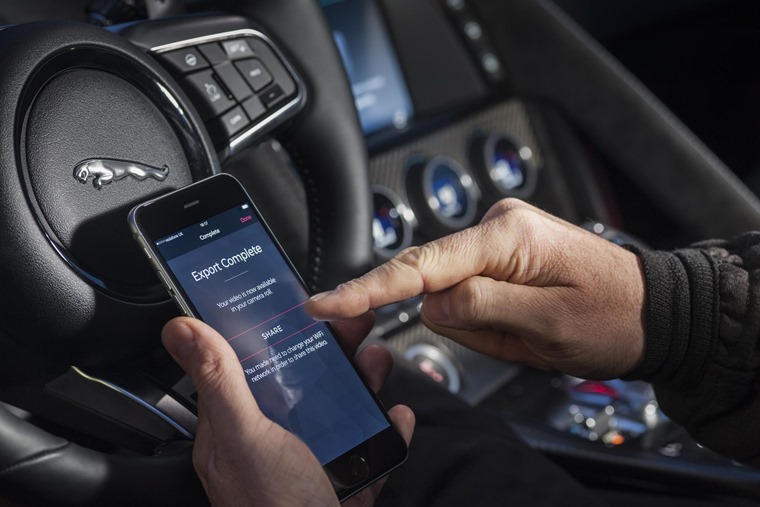 We do realise that many drivers nowadays regard connectivity as an important consideration when choosing their next car. And there are upsides to being able to reach the internet when driving, though only if it can be done in a completely hands-free manner. This is exactly as it should be: driving comes first, everything else is a distant secondary consideration. Yet the ASA’s ruling takes a rather heavy-handed approach which treats all drivers as phone-obsessed slouches who would rather be fiddling with their apps than watching the road ahead. It’s a pity this lowest common denominator attitude prevails. Yes, there will be those drivers who are too ready to use their phone when driving. It’s only right they should be prosecuted and we gladly welcome the increased fines and points for using a phone at the wheel. If anything, we would recommend even stiffer penalties and a sustained police campaign to catch anyone flouting this law. This is where the notion of an in-car setting on all mobile phones comes in. It would be simple to offer an app that can detect when a car is moving above walking speed and disable the vast majority of its connected functions. In this way, the phone is rendered inactive and not a distraction to free up the driver’s full concentration on observing the road. Or would mandatory advanced driving courses be more beneficial? The biggest hurdle to this is attitudes to driving and the use of a mobile phone inside a car. And this is where the ASA’s ruling is, disappointingly, necessary and correct as most people who get behind the wheel of a car are not interested in being the best possible driver they can be. 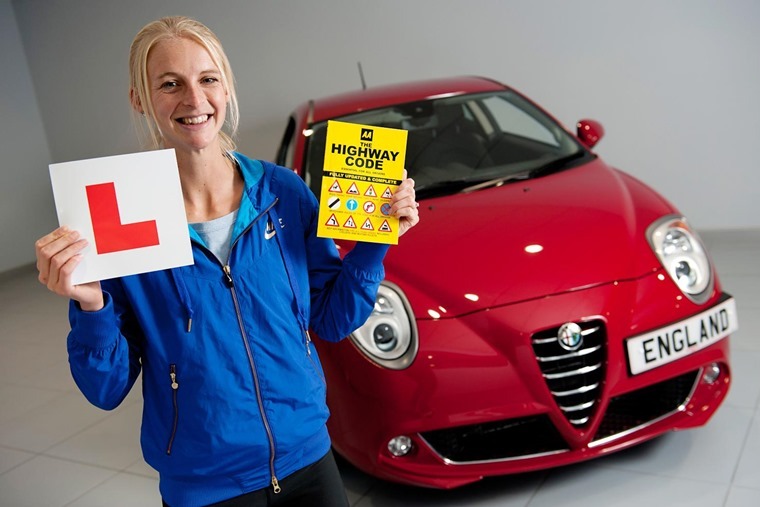 Once that driving test pass has been achieved, it’s downhill for most drivers as bad habits and laziness creeps in. While greater familiarity instils some proficiency, the awareness and observation needed to be a safe and considerate driver tails off massively. A simple way to test this is to take an advanced driving course. The level of awareness needed to attain this standard of driving will leave most drivers exhausted. It also requires you to slow down so your brain has the time to take in all of the information needed to make safe progress. Perhaps a more pertinent ruling by the ASA would have been to ask Jaguar and the Guardian to run a separate piece promoting improved driving standards for all. As we have said before in this column, the only way to make a significant reduction in road deaths and serious injuries is to address the issue of driving standards rather than just making cars ever more sophisticated in their ability to avoid and protect us from collisions. 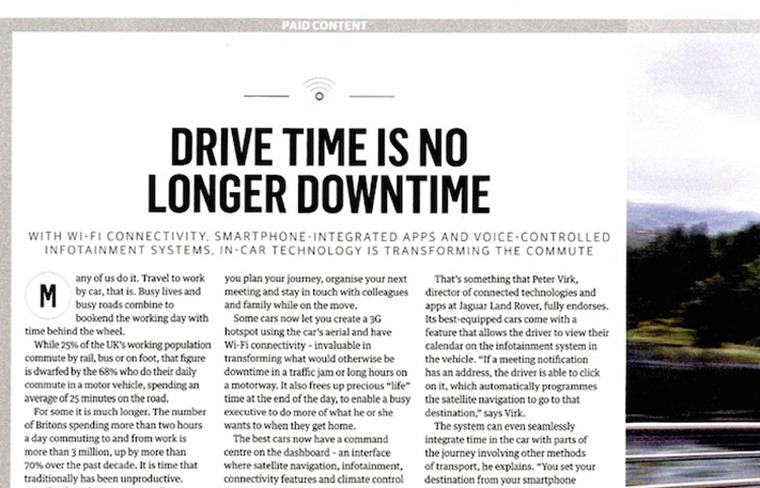 In the advertorial, Jaguar used the line ‘Drive time is no longer downtime’. This is what caused rancour with the ASA, which felt this line could be interpreted by drivers that they could now perform various tasks while driving. It’s a pity Jaguar has not ceased the opportunity to turn this into a positive message to regard time spent at the wheel as the chance to become a better driver. Then again, Jaguar was told off by the ASA in 2014 for encouraging ‘irresponsible driving’ in its adverts where actor Tom Hiddleston explained why Brits make such good villains – this for just revving the engine in a car park. In an advertisement that was clearly tongue in cheek and playing on the Bond-style baddy theme, this ruling was somewhat heavy-handed.